Adult horses should have a visit from a dentist at least once a year. Younger horses, under the age of 5 and older horses, above the age of 20, should really have at least an exam every 6 months. 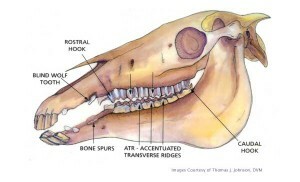 For the younger horses it is due to the shedding of their baby teeth (molars and incisors). They are also referred to as caps. Most of the time there isn’t much issue and in fact you might just find them in their feed pan or their stall. For those oldies but goodies – it is to keep an eye out for loose, decayed or smoothing of their teeth. Due to different feeds and options to horse owners though, these old guys have more good years left than their teeth do; so don’t be afraid of smoothing teeth. They adapt well to changes like this by a change in feed or wetting down what they currently eat. Routine and corrective dental care is a very important part of your horse’s health and comfort. 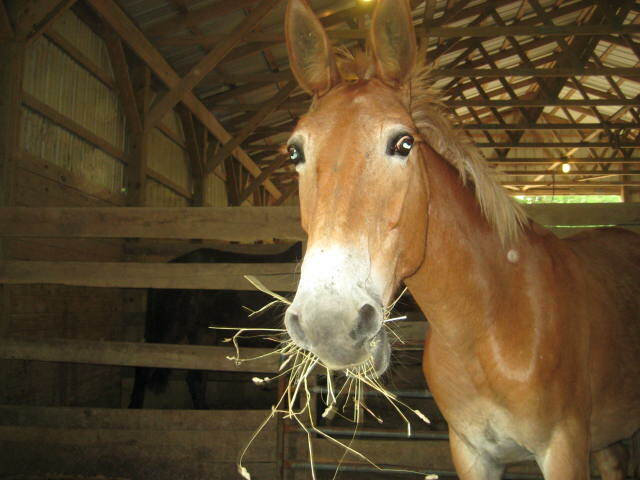 There are few things to be on the lookout for that your equine friend might need to have a dental visit. These things will also be some things that a dentist might/will ask either over the phone when setting up your appointment or before we get to work on your horse…. Foul Breath or partially chewed food falling from their mouths? Have you noticed a drop in weight even though their feed has been increased? Trouble accepting a bit or turning when being ridden? Large amounts of what looks like whole feed stuffs in their manure? Does he/she look like a chipmunk with food stuffed in their cheeks? Does their chewing sound wrong? Do they “squeak” when they eat? Being observant and knowing your animal is a huge help to not only you, but too any professional that helps care for your equines. So What Does that Mean to me and my Horse? All the signs listed above could mean a few things, but the meaning to the dentist is pretty specific. All these issues cause one main thing that needs to be corrected and that’s restricted motion of the jaw. Restricted motion = inefficient chewing and improper breaking down of food for digestion. This is something that is important for all ages and classes of horses. The better the food is broken down, the easier the system can use it. There is also the possibility of uneven and un-needed pressure on the TMJ if things are not properly balanced. Check the TMJ for sensitivity – only light pressure is needed to get the information we are looking for. Jaw movement will be checked before and after the corrections are done to insure that the whole mouth is working properly as a whole unit. Once the assessment has been made, the next step would be to determine the best course of action to restore comfort in your horse’s mouth. This could range from a basic maintenance float to remove sharp points to reducing overpowering teeth and even a realignment of the incisors; if needed to re-balance the mouth. Once all corrections are performed, the follow up care or future appointments will be discussed. Some corrections might need to be done over more than one appointment due to the amount of work needed; this is in the best interest your horse and its well-being. SRED specifically uses hand tools, but we are equipped with power tools if absolutely necessary. Will The Corrections or Equipment Hurt? All tools and procedures have risk, but no it shouldn’t hurt at all. The sound is different and sure it doesn’t feel like anything they have felt before (if they are first timers), but no pain should be felt. Some nervousness, resistance and curiosity are all normal reactions; this all depends on the horse. 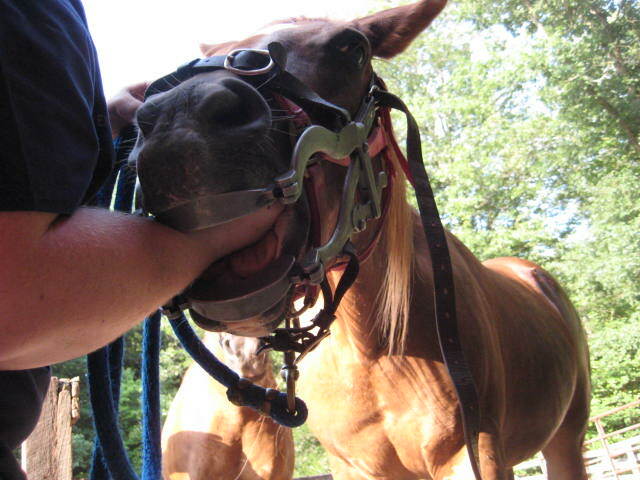 Some horse take well to having their teeth done, others are not really sure about the whole process. In the end it’s not a race, so if they need more time to adjust and get to know what’s going, that is easily done. Your horse will also be given plenty of breaks once the speculum is in use; this will give them a physical break as well as a mental break to insure a better experience. They need to remember/know that their mouth being open is only temporary. Whew, ok, Every Thing is Done – Anything I need to do Now? Once all corrections are performed, the follow up care or future appointments will be discussed. Some corrections might need to be done over more than one appointment. As always any and all questions are welcome; so please ask anytime!